Voters in the Netherlands turned out in droves on Wednesday to deliver a rebuke to the forces of populism. But don't exhale just yet: Europe's biggest test of 2017 is still to come. The stakes will be far higher when national elections kick off next month in France. That contest will pit mainstream candidates against Marine Le Pen, the populist firebrand and leader of the right-wing National Front. 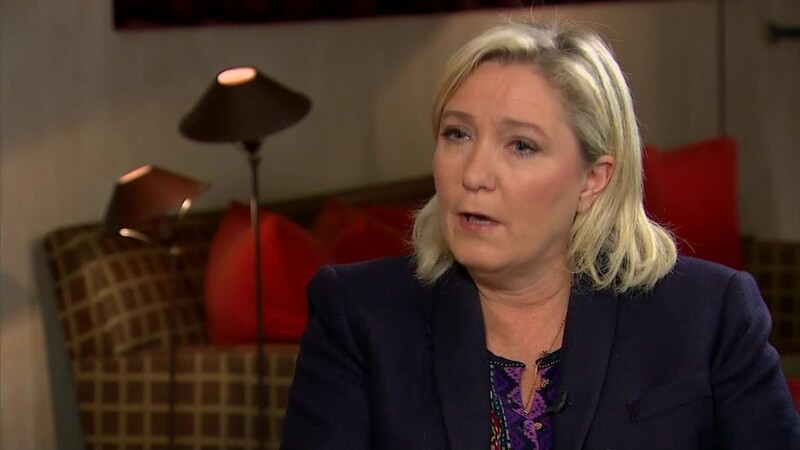 Le Pen has criticized globalization, promised protectionism and threatened to bring back the French franc. She has also pledged to hold a referendum on France's membership in the European Union if elected president. A French exit from the EU is what analysts are most worried about: It could mean the end of the euro and the dismantling of a political union credited with preventing conflict on a continent for that has seen its share of war. The difference in yields on French and Dutch government bonds has widened in recent weeks, suggesting that investors recognize the risk. French bonds have also weakened relative to German debt. The euro was little changed on Thursday. It had fallen in recent months on rising political risk. But UBS economist Ricardo Garcia said that investors should remain on guard. Results in the Netherlands -- seen as bucking a wave of populism that started with Brexit and continued with Trump -- could lull French voters into thinking there's nothing to worry about, he said. "The unconvincing populist performance in the Netherlands may weigh on French voters' sense of urgency when heading for the ballots," said Garcia. Le Pen is viewed as an overwhelming favorite to advance to the second round of elections. There, she is likely to meet the independent candidate Emmanuel Macron or perhaps a more conservative politician. The second round of voting will be held May 7. Garcia said that UBS sees a 40% chance that Le Pen will prevail and become president. Analysts warn that even if she doesn't win, the rise of her party and other euroskeptics could complicate the eurozone's future. "Their increased power will reduce the chance of cooperation at the EU level and of further integration," said Stephen Brown of Capital Economics. "Without the political will for such measures, the EU's future will look increasingly insecure."